On 4 June 2015 AgriFutures Australia signed a Funding Agreement with the Australian Government. This Funding Agreement sets out expectations about performance, transparency and accountability to levy payers, the Government and the public. As part of Standing Orders of the Senate, AgriFutures Australia is required to provide access to an indexed list of the titles of all relevant files, including new parts of existing files, that it has created from 1 January 1998. The AgriFutures Australia Program Framework informs the development of key planning and reporting documents such as the Strategic R&D Plan, Annual Operational Plan and Annual Report. The AgriFutures Australia Evaluation Framework outlines how investment decisions are made and how performance impacts of program investments are evaluated. AgriFutures Australia is committed to ensuring that no person feels unsafe during any event. AgriFutures Australia requires all attendees, speakers, sponsors and volunteers at any AgriFutures Australia event to agree with the following code of conduct. The following businesses/agencies have been placed on our preferred suppliers list for 1 January 2019 – 31 December 2019. The AgriFutures Australia Enterprise Agreement 2013-2016 was approved under the Fair Work Act 2009 and came into operation on 1 July 2013. The AgriFutures Australia Fraud Control Policy and Plan sets out the approach for the prevention and management of fraud or allegations of fraud within AgriFutures Australia. AgriFutures Australia risk appetite for fraud is zero tolerance. The Fraud Control Policy and Plan includes the process for notification of any suspected fraud and the relevant contacts. The Portfolio Budget Statement (PBS) informs Senators and Members of Parliament of the proposed allocation of resources to Government outcomes by agencies within a portfolio. Agencies receive resources from the annual appropriations bills, special appropriations (including standing appropriations and special accounts) and revenue from other sources. Entered into during the 12 months prior to the end of the financial year. Commonwealth Entities and Commonwealth Companies are required to publish information detailing the scope and value of remuneration for executive and other highly paid staff on their website. AgriFutures Australia is currently reviewing its banking services to ensure it is receiving the best services available for the Corporation. We are looking to develop a relationship with a local bank branch for the most competitive banking services with exceptional customer service to fit the current and future needs of the organisation. Expressions of Interest close Friday, 29 March 2019. The broad objective of the Freedom of Information Act 1982 (FOI Act) is to give the Australian community access to information held by the Government of the Commonwealth. Reforms to the FOI Act which came into effect on 1 May 2011 are aimed at promoting a pro-disclosure culture across government, building a stronger foundation for greater openness and transparency in government operations. AgriFutures Australia is committed to a proactive approach to publishing information which it holds to the benefit of rural industries, the research community and the broader Australian public. Provide detail of how notices provided by AgriFutures Australia in relation to the FOI request can be sent to the applicant. AgriFutures Australia publishes or holds corporate documents such as the Annual Report, Corporate Plan and Annual Operational Plan. These are free while stocks are available. They are also available for free download from AgriFutures Australia website. 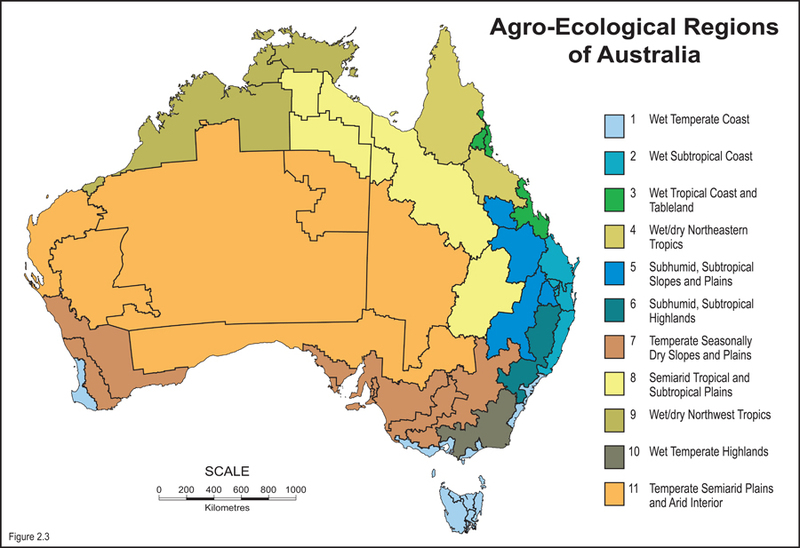 AgriFuture Australia’s extensive research library of is available for viewing, free downloading or purchasing from our Publications and Resources page. Purchases can also be made by phoning 1300 634 313. Formal requests for information under the FOI Act must be made in writing to the FOI Coordinator. In many cases, an application under the FOI Act may not be required as information or documents may be readily available. An up-to-date listing of projects funded by AgriFutures Australia is detailed in our Research-in-Progress publications and also on the AgriFutures Australia website. Funding information on individual projects is available upon request. Upon receipt of an FOI request, AgriFutures Australia will provide an acknowledgement of receipt within 14 days. In accordance with the FOI Act, a decision must be notified to the FOI Applicant within 30 days of receipt. However, as some documents may be subject to a third-party consultation process, the FOI Act provides agencies with the right to extend the applicable timeframe by an additional 30 days. If consultation is required, applicants will be informed accordingly. FOI requests made to AgriFutures Australia on or after 1 November 2010 no longer require an application fee to be paid. However, the FOI Act provides that charges may be imposed for processing requests (except where applicants are seeking documents containing their own personal information). Should an FOI request incur any charges, applicants will be provided with an estimate of the applicable charges. Requests will not proceed until applicants provide a response to the estimate. AgriFutures Australia may decide to remit, reduce or not impose processing charges under certain circumstances. Following receipt of the decision on access, applicants are entitled to seek an internal review of the decision and must write to FOI Coordinator within 30 days of being notified of the decision. Alternatively, applicants may write to the Office of the Australian Information Commissioner (OAIC) seeking a review of AgriFuture’s decision. This can be done as a result of either the initial decision or the internal review decision. Subsequent review options after internal review and OAIC review are also available. The complete process for seeking a review on access is provided in the decision letter sent to the applicant at the completion of the request. Part II of the FOI Act establishes an Information Publication Scheme (IPS) for Australian Government agencies subject to the FOI Act. The IPS commenced on 1 May 2011 and requires agencies to publish a broad range of information on their websites. AgriFutures Australia Agency Information Plan describes how it intends to comply with the IPS. This section includes information about our organisation and its structure, governance arrangements, Board, Advisory Panel members and senior management team. This section includes information describing the AgriFuture’s functions and decision-making powers and other powers affecting the research community, rural industries and the public. This section outlines information on what our priorities are and how we are working to achieve these priorities. AgriFutures Australia tables an Annual Report to Parliament each year in October. Copies of recent Annual Reports can be found in the section of this website. AgriFutures Australia values social and cultural diversity and is committed to the principles of equal employment opportunity and the provision of a safe and healthy work environment. This section includes details of non-personal information AgriFutures Australia has released under the FOI Act that can reasonably be released to the wider public. Information in documents to which AgriFutures Australia routinely gives access in response to FOI requests will be clearly identified in the Disclosure Log. This section sets out how and to whom a comment may be submitted by members of the public, where AgriFutures Australia undertakes public consultation on a specific policy proposal. AgriFutures is committed to providing high quality research products and services and effectively engaging with its stakeholders. A bi-annual stakeholder survey helps to measure our performance against our key performance indicators and to identify opportunities for improvement. Independent market and social researchers are commissioned to enable our stakeholders to provide feedback on an anonymous basis and to ensure objectivity in the collection and analysis of survey responses. This section includes information about what we spend and how we spend it, including financial statements, grants we administer, and financial information relating to pay and grading structures, procurement procedures, tendering and contracts. AgriFutures Australia’s extensive research library of publications is available for viewing, free downloading or purchasing from our print-on-demand portal under the Publications & Resources section of this website. Current indexed list of files are located in the Corporate Governance section of this website. AgriFutures Australia is an agency subject to the Freedom of Information Act 1982 (FOI Act). The 2010 reforms to the FOI Act included the introduction of the Information Publication Scheme (IPS). This plan describes how AgriFutures Australia intends to comply with the IPS by managing its IPS entry. How AgriFutures Australia will otherwise comply with Part II of the FOI Act. The General Manager, Business and Finance has overall responsibility for leading AgriFutures Australia’s work on implementing the FOI reforms, including the IPS. AgriFutures Australia is responsible for administration of Freedom of Information, communications and publishing. Publication of documents released following an FOI decision Ongoing based on when documents are released following an FOI request (in accordance with timeframes specified in FOI Act). Publication of information required to be published under sub-section 8(2) of the FOI Act. Progressively from 1 May 2011 onwards. Review of AgriFutures Australia IPS compliance Annually, in conjunction with the Web content review. In promoting a pro-disclosure culture, AgriFutures Australia intends to make documentation available free of charge by primarily publishing information on its website. Requests for multiple copies of archived documents which are no longer available online may attract a charge for the cost of photocopying, postage etc. AgriFutures Australia will notify the applicant of any potential charge at the time of the request and the charge will be payable prior to release of the document. IPS information holdings will be available online as outlined in the Information Publication Scheme. Some documents cannot be provided in HTML format and some will be made available to download and share in Portable Document Format (PDF). Where possible, AgriFutures Australia has taken steps to ensure that alternate formats are available, commonly Rich Text Format (RTF). For downloadable documents, an icon appears alongside the document link to indicate the file type and size. A number of AgriFutures Australia documents have either an International Standard Serial Number (ISSN) or International Standard Book Number (ISBN). Where these numbers apply, the document will make note of such a number accordingly. The review will examine AgriFutures Australia’s compliance with the IPS requirements along with a review of this plan at least annually, which will coincide with the annual web content review. Communication between AgriFutures Australia and members of the public in relation to accessing documents published online. In accordance with section 9 of the FOI Act, AgriFutures Australia intends to review the operation of its IPS at least every five years commencing from 1 May 2011. Such a review will be undertaken in conjunction with the Office of the Australian Information Commissioner. AgriFutures Australia welcomes feedback on the approach it proposes to take to complying with the Information Publication Scheme (IPS) outlined in this plan. AgriFutures Australia is required by the FOI Act 1982 (s11C) to publish a disclosure log on its website. The disclosure log lists information which has been released in response to an FOI access request. This requirement has applied since 1 May 2011. A charge may be imposed to reimburse AgriFutures Australia for the cost incurred in copying or reproducing the information or sending it. There will be no charge for the time spent by AgriFutures Australia in processing the FOI request that led to this information being made available. Applicants will be notified if any charge is payable and required to pay the charge before the information is provided. AgriFutures Australia will try to meet all reasonable requests for an alternative format of the document in a timely manner and at the lowest reasonable cost to the applicant. Information attached to, or referred to, in the AgriFutures Australia Disclosure Log will generally be removed after 12 months, unless the information has enduring public value. The information described in this disclosure log has been released by AgriFutures Australia under the FOI Act 1982 and is available for public access. Unpublished photos are exempt from release on the basis of s47G(1)(a) and s47G(1)(b) of the FOI Act. Unpublished photos are exempt from release on the basis of s47G(1)(a) of the FOI Act. FOI 201314-01 17 February 2014 The applicant requested documents relating to correspondence between the RIRDC Chairperson and the Minister for Agriculture between 8 September 2013 to 20 January 2014. Documents released in full.